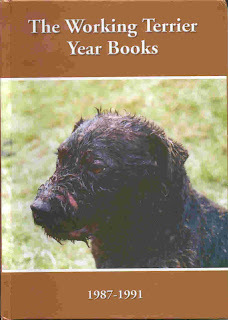 For other books on terriers, and other topics as well, I recommend Read Country Books, Coch-y-Bonddu Books and Advanced Book Exchange or Alibris. Summary: A new book on practical, common sense, terrier work for the beginner, laid out in a clear no-nonsense style with chapters on the history of working terriers in Europe and America, along with sections on introducing young dogs to work, tools, technique, American terrier quarry, hazards, and veterinary care for working dogs. n Review >> "American Working Terriers stands out among useful books on sport ... The writing is swift and clean, a pleasure to read. You can almost hear Burns sink the spade into the end of his sentences. He keeps you digging along side him all the way." This 216-page book by lifelong field sportsman and Earth Dog Running Dog contributor Paul Dooley is packed with 105 photographs and stories(101 colour & 4 black and white) many of which are action shots. 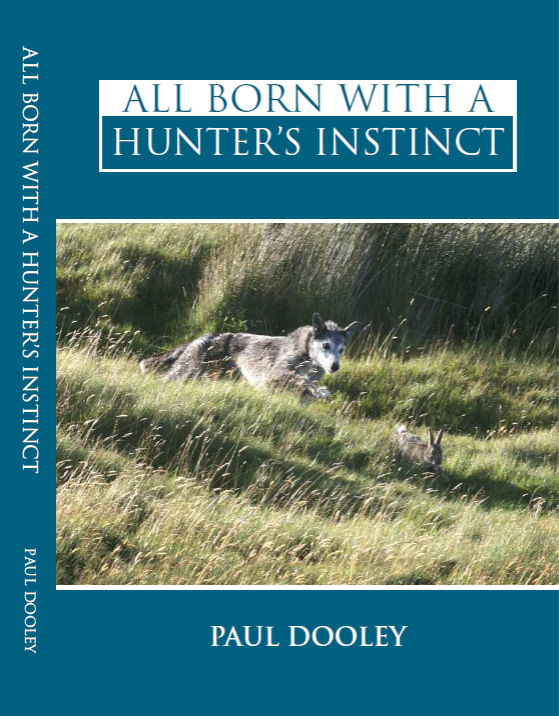 This is a collection of factual hunting adventures involving the authors lurchers, terrier, ferrets and hawks. >> To order. The Working Jack Russell Terrier and The Real Jack Russell, both by Eddie Chapman, have been reissued. Chapman has been terrierman for many hunts in England and continues to supply terriers for work. Both of the books are excellent. The thin little book entitled "The Working Jack Russell Terrier" (originally published in 1985) is one of the very best working terrier books written. Both books can be ordered from B. Swanson at: jjournal@gte.net. The cost of The Working Jack Russell Terrier is $25.00 in US; The Real Jack Russell $30.00, both for $50.00, $5.00 shipping and handling. Stormy Nights and Frosty Mornings by Paul Dooley is a new 200-page book with 120 black and white pictures of working terriers, lurchers and ferrets in the U.K. 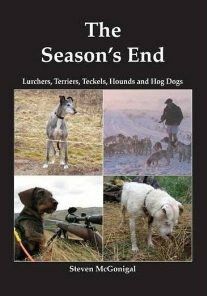 The book is not a 'how to do it' type manual but rather a compilation of the author's hunting adventures in the UK with his dogs. Lamping rabbits and foxes with lurchers, coursing hares, hunting foxes with terriers both above and below ground, ratting with terriers and ferreting rabbits and even a little deer stalking are all thrown in. This book has received glowing reviews in 'Earth Dog Running Dog' magazine, which is the UK's premier magazine for terriers and lurchers. For more information and to order by credit card, click here. With apologies to the authors, all of whom deserve better. 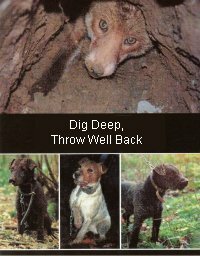 There is no book on working terriers that actually tells you how to do it -- what tools you need, what you really need in a dog, how to locate quarry, how to use a deben box, how to dig, what to do in difficult situations, or how to vet a dog. You can read until your dog is dead from old age, but the only way to really learn about terrier work is to go out a few times with people that do it and are willing to teach it. 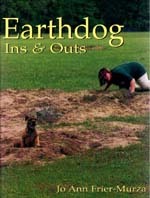 The books below are mainly entertainment, and a few are instructive about general dog obedience or care. Working Jack Russell Terriers in North America: A Hunter's Story - by Ken James. A very good little book that is well worth the price. Highest recommendation. See "Rat Wars" in story section for ordering information. Hunt and Working Terriers - Jocelyn Lucas. Very good old text. A must have, if you must have. A book you can read and reread. 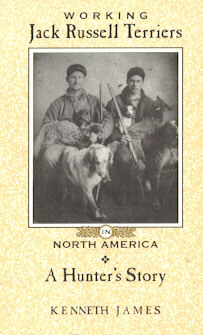 Jack Russell and His Terriers by "Dan Russell" -- As good a history as exists about the Rev. and his dogs. In fact, not much is known. Working Terriers by Mark Giles -- a very good little book printed in 1988 and hard to get. Well written and with some sensible points. Running With the Foxes is David MacDonald's masterpiece about red fox. Very informative, well-written, surprising, and extremely well photographed, this book is the finest book yet written on the world's most widely distributed canine. Highest recommendation. Out of print, but always available from Abebooks. Raccoons: a Natural History by Samuel I Zeveloff is well-written and gives some surprising information about raccoon migration out West -- and why it did not occur sooner. For the die-hard naturalist, but of interest to the hunter. Of Pedigree Unknown by Phil Drabble -- A nice little book with a few old pictures but otherwise light. A New Owner's Guide to Jack Russell Terriers by Linda Bollinger and Peggy Swager -- A better than average general introduction book to the breed. The Traditional Working Terrier by Sean Frain -- A basic introduction to terriers with chapters on breeds, how to select a puppy, stock breaking etc. Plummer's book (below) is better. 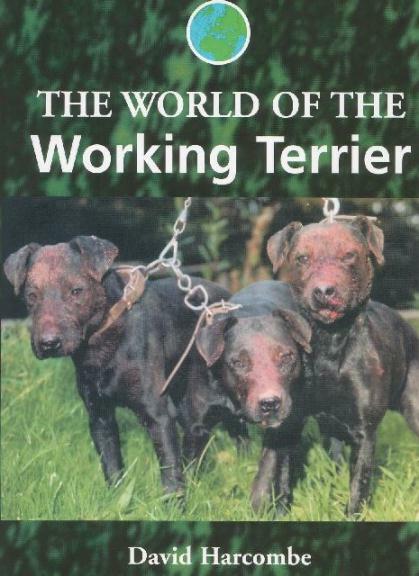 The Working Terrier by D. Brian Plummer - One of the better introductory books. Idiot's Guide to Dog Tricks - Not very good. Border Terriers Today by Rosyln Williams - OK book, not especially great. Eminent Dogs , Dangerous Men - About border collies, by Don McCaig -- a very good book by a Virginia writer, which therefore elevates it to greatness. Don't Shoot the Dog by Karen Pryor - Great book about life - not just dogs. Highest recommendation. Buy three copies and give two away. Adventures of an Artisan Hunter - D. Brian Plummer - A fun book. About the Border Terrier by Gardner - very good border terrier book. The Modern Working Terrier by Michael Shaw (Plummer pseudonym) - Worth having and better with time, but proof that Plummer was an odd man. Idiots Guide to Jack Russell's - A pretty good book despite the name. Speed Train Your Bird Dog. Don't own a bird dog, but interesting. The Sporting Terrier by D. Brian Plummer - A compilation book. Not great. Trog - An awful novel about badgers but I learned a bit about them anyway. By D.Brian Plummer. The Complete Jack Russell Terrier by D. Brian Plummer. A pretty good book. The World of Dogs - Totally useless book given to me as gift. Must have been a remainder. Housebreaking and Training Your New Puppy - Can't remember it, don't need it. Culture Clash by Jean Donaldson. A good book about problem dogs, but the book is not as well organized as it could be. Dig In by Migliorini - Not much use. Simon and Schuster Guide to Dogs - Good for all breed identification. Encyclopedia of the Dog - Good all breed ID book. Tales of a Rat-Hunting Man by D.Brian Plummer. Very funny and a good read. Secrets of Dog Training by D. Brian Plummer - The title promises more than the book delivers. A-Z of Dog Diseases and Health Problems -- OK for figuring out what other people are talking about. James Herriot's Favorite Dog Stories - A good writer with some good tales. The Border Terrier by David Kline - Very good American border terrier book. The Terrier's Vocation - Light reading, not that useful. The Poacher's Handbook - Light but fun reading. Full Revelations of a Professional Ratcatcher - Reprint of the 1889 Ike Williams classic. The World of the Working Terrier by David Harcombe. A book of stories and opinion without too much practical information. The Standard Book of Dog Care - Old vet text from the 50s -- occasionally useful. 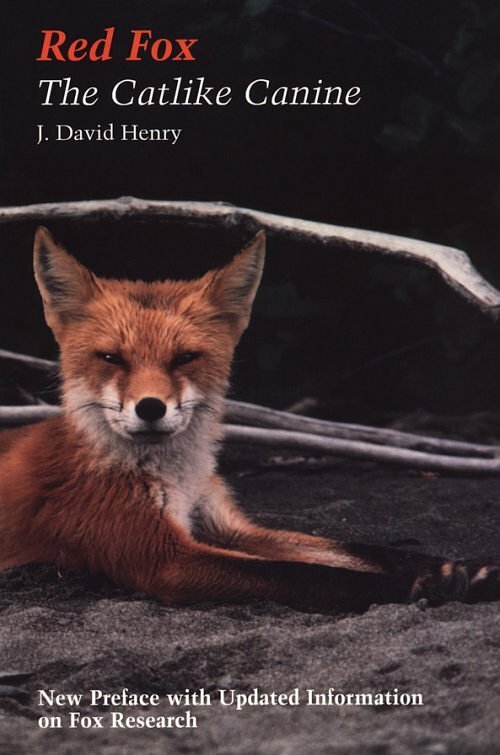 How to Spot a Fox by J. David Henry - Not quite up to the promise, but worth getting. 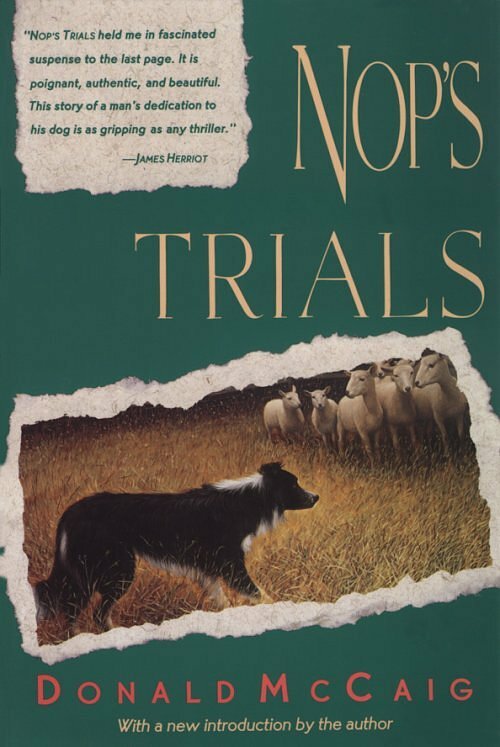 Nops Trials - Sheep dog novel by Don McCaig. The Fell Terrier by Brian Plummer - Like trying to decipher the begats section of the Bible, but still very informative and should be read if you want to get some idea of how ephemeral the notion of a terrier "breed" is. The Jack Russell Terrier by Catherine R. Brown - A little light, but nice pictures and some useful stuff. Red Fox, the Catlike Canine -- Another fox book by J. David Henry that will be enjoyed by those that want to know the animal well. Working Terriers: Management and Training by J.C. Hobson -- A basic introduction to terrier work with chapters on breeds, how to select a puppy, general health, kenneling, etc. Notable in that it at least mentions tools and locator collars. Worth having. The Well Dog Book - A pretty tame-to-lame vet book. How to Raise a Puppy You Can Live With - Can't remember it, don't need it. 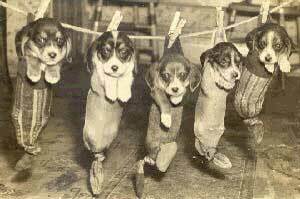 No Bad Dogs - Barbara Woodhouse. Can't remember it and don't believe it. Books and small dogs make great stocking stuffers!